Looking for a stylish pair of glasses but want some of the excitement diffraction brings to your world? 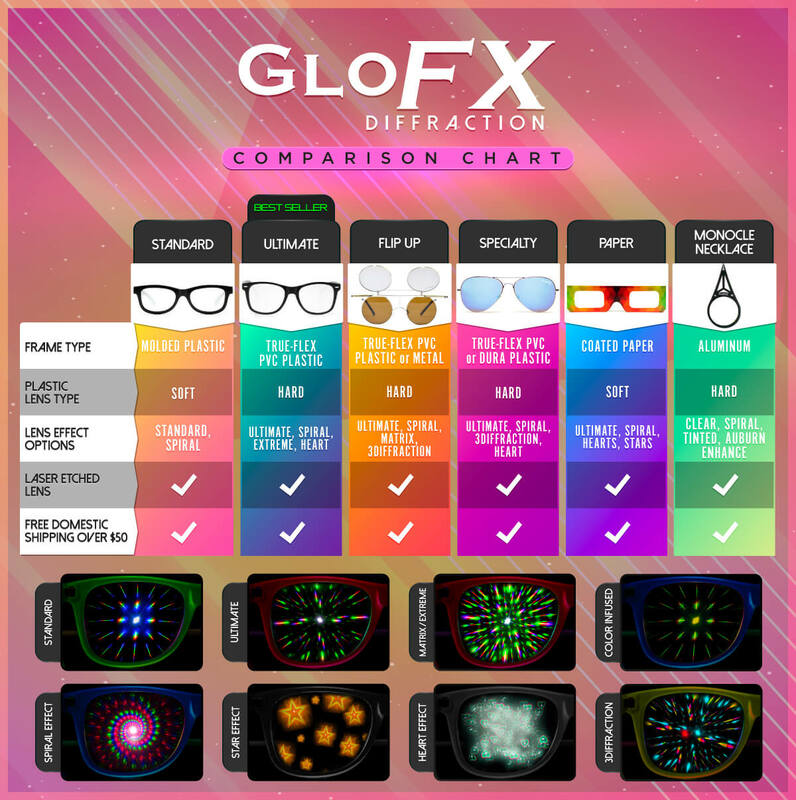 Take a look at our Round Tortoise Diffraction Glasses for a distinctive and high class look that can only be found from GloFX. All of our glasses have high quality in mind, which is why we paired our Round Tortoise Diffraction Glasses with stainless steel hinges and a Lifetime Limited Warranty. These gradient lenses have a sleek fade from brown to clear and produce an epic rainbow prism effect. Looking classy has never been so fun, grab a pair of our Limited Edition Tortoise Diffraction Glasses today, before they’re all gone! I just love how cute these are! So awesome!